From venue hire to stand building, to attendance generation, we can manage your events from start to finish, no matter what the size or sector. We have strong relationships with leading suppliers, meaning we can source the best equipment for you at the best prices, whether it be for merchandise, print, stand building, AV equipment or venues. 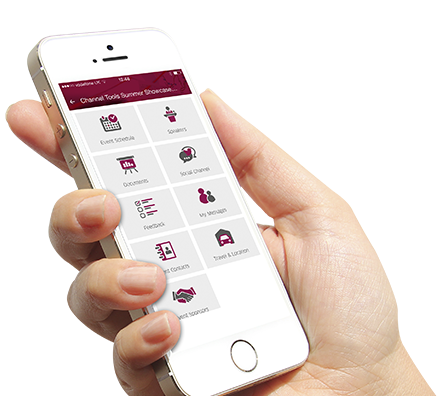 We can be on site at your event or give you the tools to manage the day on your own – including our Integrit Event Manager, a module from our mobile engagement platform. Download the Integrit Event Manager Datasheet to find out more. The Nook is very quickly becoming The future of collaborative events. The Nook is a pre-built mobile event meeting space. Enhance the whole customer experience – wireless charging creates new opportunities to interact with current customers and expand the whole customer base, by attracting those in search of a charging spot. Ease of use – Charge up your battery by simply placing your device on a charger. Convenience – No need for different chargers and adaptors, no cable spaghetti, no lending of cables or battery packs. Whatever the experience is that our customer is looking for we can work with you to find the right technology to deliver success. Whether you are looking for the right registration system on the day or want to include elements of gamification we are confident we can deliver the right solution. Channel Promote is our global promotional merchandise solutions service. It is our passion to ensure that your promotional merchandise looks, feels and works beautifully. From your classic items, to something completely new and different that will be sure to wow your customers, our experienced team will deliver a service tailored to your business model. We have found that customers are not only looking for the right promotional items but want to ensure it reflects their brand in a positive manner. It goes without saying that good service is key and we pride ourselves on this. Check out our premium promotional items catalogue here. Taking a proactive, rather than a reactive approach, we are dedicated to ensure your promotional products stand out from the competition. When something new and quirky comes to the market, you will be the first to know. We can source over 2 million items at competitive prices, which have large, lasting impact, a great value for your investment. The majority of promotional merchandise is sourced from Asia. However, we have many trade suppliers right across Europe including many in the UK. This allows us to pass on considerable cost savings to our clients when it comes to sourcing promotional merchandise. We are an ideas agency that will work closely with you for innovative items to represent your campaign or company. We go further than sending you just catalogues and emails. Unlike most merchandise suppliers, we take the time to sit with you as often as you like, for as long as you like, to brainstorm ideas. In a crowded market place, we are very proud of this providing you with this unique approach. Environmental and ethical policies are extremely important to us. We are committed to minimising adverse environmental effects, ethical trading and sustainable development. This is reflected in the quality of our products. With established long-term relationships with some of the finest suppliers in the world, and thorough inspection processes, we ensure the best quality products are delivered to our customers.